What took place was the not-so-creeping Islamization of Turkish society since 2002, when Erdoğan's Justice and Development Party (AKP) came to power. A Turk who is now 27 years old was only 10 at that time, and has not seen any other leader of Turkey since. Erdoğan's political and social engineering has changed the way the average Turk identifies himself: Most Turks used to identify themselves as "Turks first." Now they identify themselves as "Muslims first" -- the way Erdoğan seemingly wanted them to. It is not surprising then that passionate fans of the Justice and Development Party often hear the words Israel, terror state, tyrant, dictator and so on at public rallies as Turkey heads toward its local elections on March 31. "What," asked a puzzled European diplomat, a newcomer to Ankara, "does Israel have to do with Turks' choice of metropolitan, small town or even village mayors?" A colleague answered with a smile: "A lot. Anti-Israel rhetoric is now an indispensable part of every Turkish election, including one to elect a village headman." 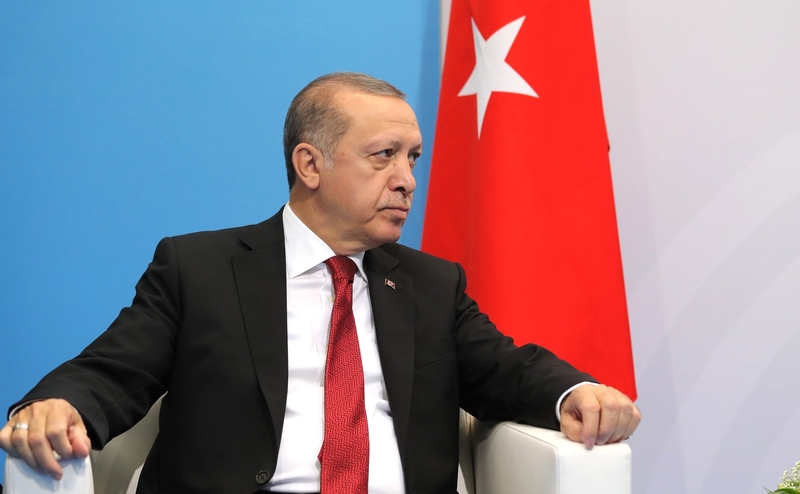 The show for this year's election took off as early as December, when Turkish Foreign Minister Mevlüt Çavuşoğlu said that Israeli Prime Minister Benjamin Netanyahu was "a cold-blooded killer in modern times," among other slanders. "In 2016 the Jewish immigration from Turkey has doubled. In percentage terms, the largest increase of Alyah [immigration to Israel] registered during this period was the immigration from Turkey," notes the Jewish agency. "It appears to be connected to growing political instability in that country and fears that the Jewish community is being targeted," the agency says. Erdoğan may win a few extra votes by further inciting anti-Israeli sentiment in Turkey. He may ideologically be happy if more Muslim Turks hate Jews. But in reality, he is making his own country a more hateful, polarized and unsustainable place to live. If Erdoğan is curious to know on what course he is taking Turkey, he might check the official statistics on Turkey's huge brain drain.